Low-risk, non-violent inmates are assigned to a wide variety of work tasks that enhance our community and save taxpayer’s money. In fiscal year 08-09, inmates worked over 1,056,686 hours at an overall benefit to residents of $10.7 Million. Brevard County’s Jail Inmate Labor Program is one of the largest in the nation. Bicycles that have been abandoned or unclaimed are reconditioned by inmates and given to those in need. Inmates help with various construction projects at the Jail Complex and help renovate other law enforcement buildings. Inmates work in the Jail kitchen preparing meals. Inmates cover up graffiti found along Brevard County roadways, public buildings & bridges, public parks, and buildings owned by non-profit organizations. For more information or to report graffiti, call Director Noel Remillard at 321-747-0205 email: noel.remillard@bcso.us or the Graffiti Busters Hotline: 321-747-0205. Inmates operate a plant nursery. Trees, shrubs, and plants grown at the nursery are used to landscape County facilities and roads. Inmates also provide the grounds maintenance at various Sheriff’s Office properties. Inmates operate the Jail laundry facility. Inmates clean up debris around the County landfill. Jail inmates train dogs that have been deemed “unadoptable” by local shelters. Inmates take their canine partners through an eight-week obedience training course. Inmates collect and remove trash and debris from County road right-of-ways. Inmates have removed over 1 million pounds of trash. 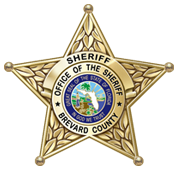 Because of the success of the program, Keep Brevard Beautiful awarded the Sheriff’s Office the 2006-2007 Beautification Award. Inmates make the uniforms they wear and the sheets they sleep on. 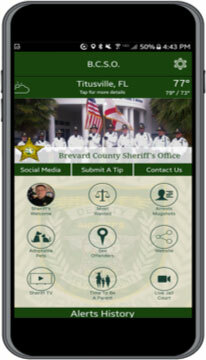 Inmates do a variety of maintenance work on Brevard County Sheriff’s Office vehicles.